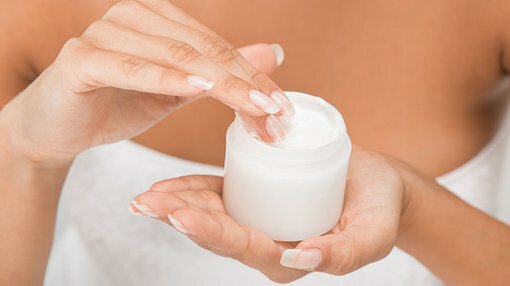 Australian owned and operated natural skin care company, Skin Elements Limited (ASX:SKN) has provided a positive December quarterly report showing growth, product development and increased sales — including its strongest quarter of sales to date totalling A$219,000. That figure represents an increase of 71 per cent on the previous quarter, in part due to more sales via Australian distributors. This continued the strong and sustained quarter-on-quarter sales growth delivered by SKN since it first listed on the ASX in January 2017. SKN currently has three distinct product ranges: the market leading Soléo Organics 100% natural and organic sunscreen, the Elizabeth Jane Natural Cosmetic skincare range, and the McArthur range of natural therapeutic skin care products (for common skin conditions). The December quarter saw the company execute on its growth strategy of delivering sustained sales growth, taking steps towards entering new markets and ongoing product development. It’s worth noting here that SKN is an early stage play and investors should seek professional financial advice if considering this company for their portfolio. SKN’s lead product is its Soléo organic sunscreen which was the focus of a website launch in December intended to drive sales. The new e-commerce website allows direct online sales capability and is expected to not only boost sales of Soléo sunscreen but the McArthur range of skincare products as well. The new online sales website is available via the Skin Elements company website or via this direct link. During the quarter, the company also expanded its production capacity with a 20,000 tube production run of the sunscreen which was delivered during the quarter to meet growing demand. In the report the company has advised shareholders it has been taking a shrewd approach to capital expenditure across the business, and has been in the process of evaluating cash inflows and operational spend requirements. With a current cash balance of $651,000 at quarter’s end, combined with receivables totalling $107,000 and inventory to the value of $375,000 it is in a reasonable cash position. It also has a loan facility in place, with access to up to $550,000 available as required. With sales moving consistently in the right direction over the last 12 months, SKN will be looking to fortify its cash position as it works towards increasing revenue and expanding its distribution footprint beyond Australia and New Zealand, to Europe, North America and Asia. It plans to update the market of material progress on its expansion efforts in the coming months. During the quarter SKN welcomed Phil Giglia to the board as an Independent Non-Executive Director after the passing of Mr David Humann. Giglia is a chartered accountant with over 30 years’ experience in accounting and a strong depth of taxation expertise in SMEs. He is also a registered tax agent and company auditor. He is the founder of Perth accountancy practice, Giglia & Associates which specialises in providing accountancy advice to high net worth clients.